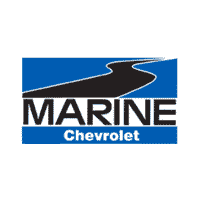 Marine Chevrolet Cadillac is hosting a Fall ‘Trunk or Treat’ Event with the United Way and their partnering agencies on October 31st, 2016 from 4pm-6pm. This will provide a great opportunity for a fun evening in a family safe environment for Halloween. We will have a variety of Chevrolet and Cadillac vehicles whose trunks will be uniquely decorated by each organization. 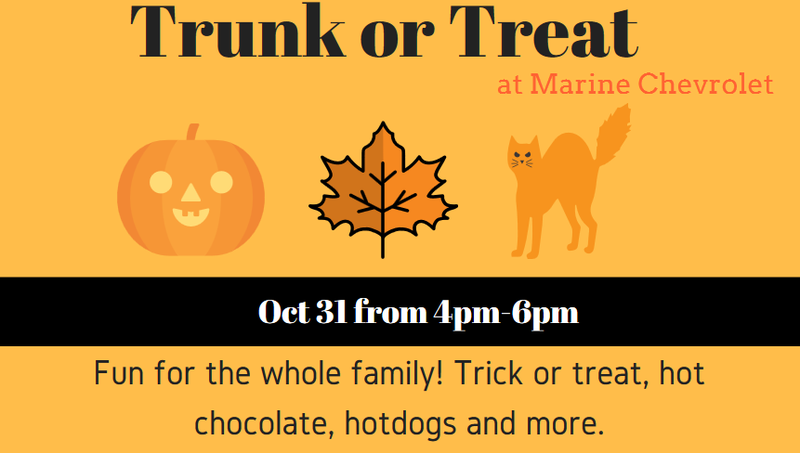 Trunk-or-treaters are encouraged to visit each trunk to collect goodies and get their punch card punched. Our visitors can also enjoy complimentary hot dogs, hot chocolate, games, and face painting. A live DJ will provide music and we’ll have a photo booth to capture the fun! A Spooktacular prize will be given away to one lucky trunk-or-treater who visits each trunk and turns in their completed punch card. We are partnering with the United Way and their partners for this event. 0 comment(s) so far on OUR ‘TRUNK OR TREAT’ EVENT IS OCT 31!